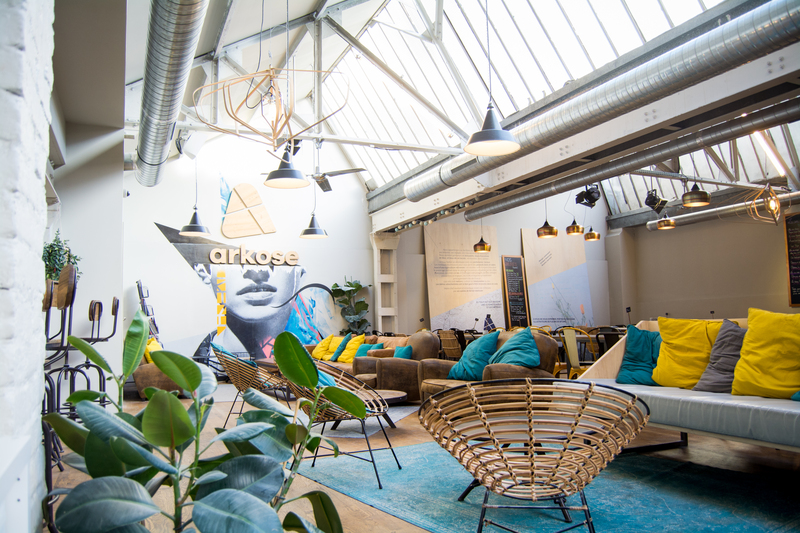 Arkose is a large place that offers what we call indoor bouldering. 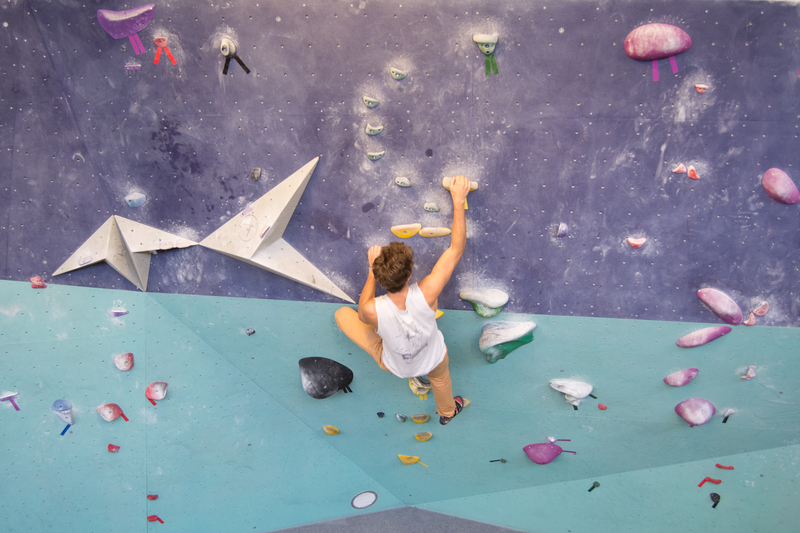 What is bouldering? It is a type of rock climbing performed without the use of ropes or harnesses. You won’t need anyone to help you secure your rope or anything, you’re on your own. Walls are generally much lower than regular rock climbing. 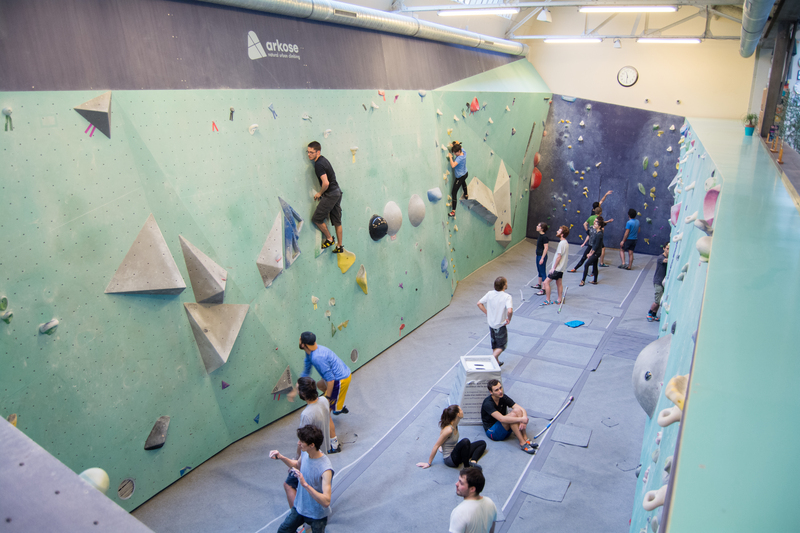 (maximum 6m high) with large bouldering mats underneath to prevent injuries from falls. And god, it is fun 🙂 ! Of course, you shouldn’t be against doing some kind of physical exercise here in Paris. But you don’t need to have done rock climbing before. Actually, you don’t even need to be in a good shape! Paths difficulties range from beginners to professionals, so anyone can have fun trying. All you need is some rock climbing shoes (don’t worry, they will lend you some if you don’t have) and you can get started. You don’t even need some sporting clothes, a lot of people do it wearing a jean. The atmosphere is really relaxing there, you can have a chat with anyone around you very easily, asking them for some help, advice or anything else. Go during the week before 6pm, there will be much less people.